In the sixth and final issue of Warren Ellis’ run on Moon Knight, street cop Ryan Trent investigates “what’s so damned special” about the title’s lunar superhero. By the end of this issue’s 22 pages, you may find yourself wondering something similar. Moon Knight/Marc Spector isn’t even close to the crappiest character amongst the hundreds under Marvel’s umbrella, but he’s definitely an amalgam of “gritty” antihero clichés — at best, a poor man’s Bruce Wayne — and by no means an easy persona to convince readers to care about. For those curious, Moon Knight is a former mercenary resurrected by an Egyptian god to hurt bad guys. Ellis and artist Declan Shalvey have done their damndest to flesh Spector out — replacing the character’s old cape and cowl with a bleached suit and mask has left him far more memorable and infinitely less generic. Throughout the series, Shalvey single-handedly crafted a desolate urban wasteland just surreal enough for undead punk rockers and a giant Burton-esque talking bird skeleton to seem like a natural extension of a tangible world — no meager feat. And no reasonable person could ever accuse Ellis of not knowing how to write a kickass fight scene, because he wrote tons of those in Moon Knight alone. But it’s telling that Spector himself barely appears in the final issue from this creative team. Ellis opts to tell a story from the perspective of a more interesting dude, Trent, whose insecurities about his own purported blandness ironically drive him to take up the guise of Moon Knight’s old and tame nemesis, Black Spectre. For the record: this is not a bad comic. It’s very okay! Pretty cool, even. But the Ellis brand name and the breathlessly positive reviews had me, probably unfairly, expecting magnificence from Moon Knight. Unfortunately, excellently-rendered tales staring a shittier Batman remain tales about a shittier Batman. Each of the six self-contained adventures of this title begin with the following exposition: “Mercenary Marc Spector died in Egypt, under a statue of the ancient deity Khonshu. He returned to life in the shadow of the moon god and wore his aspect to fight crime for his own redemption. He went completely insane and disappeared. This is what happened next.” The thing is, Spector never does anything in this series to justify this supposed craziness. He runs around in a costume and beats the bejesus out of criminals, which makes him insane by real life standards. But within the context of the Marvel Universe, wearing a ridiculous outfit and fighting a lot isn’t abnormal behavior at all. As far as can be surmised from these six stories, Moon Knight is only crazy because that’s what’s said about him — which makes no sense. Nor does the plot of Moon Knight #6. Trent’s master plan, because he feels slighted by the world, is killing and replacing Moon Knight, thereby garnering the appreciation and prestige often bestowed upon a superhero. Okay, so if it’s the fawning of the masses he’s after, why wouldn’t he target a beloved crime fighter like Captain America, as opposed to a lesser-known, morally ambiguous, thoroughly creepy vigilante? 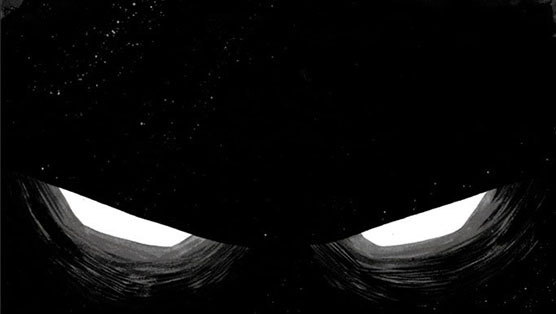 Especially when no one seems certain what, if anything, is so special about Moon Knight.